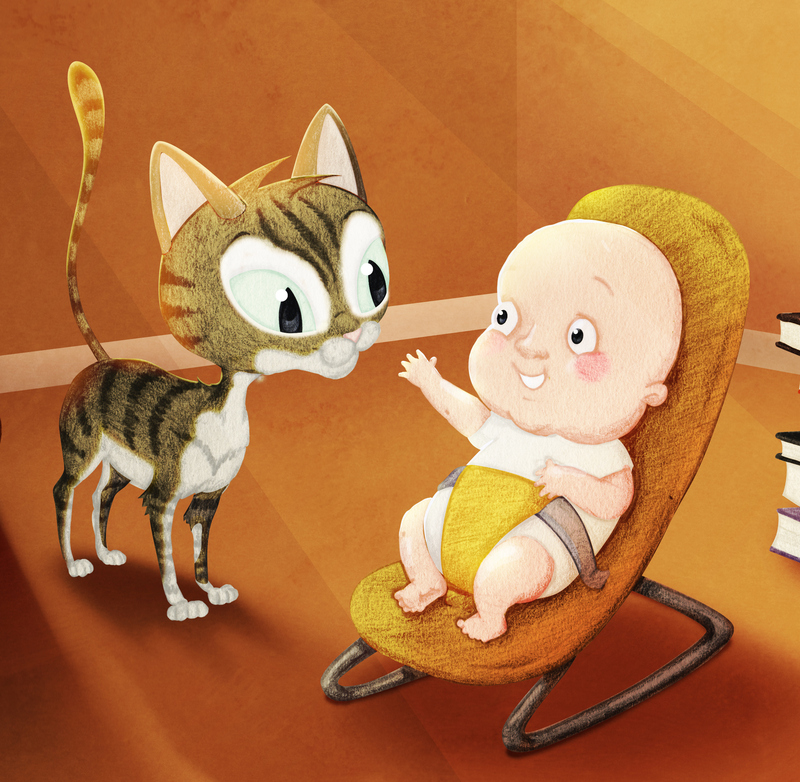 A commissioned illustration for a nursery wall. A commission for a nursery wall. I was commissioned to create this picture to adorn a nursery wall. 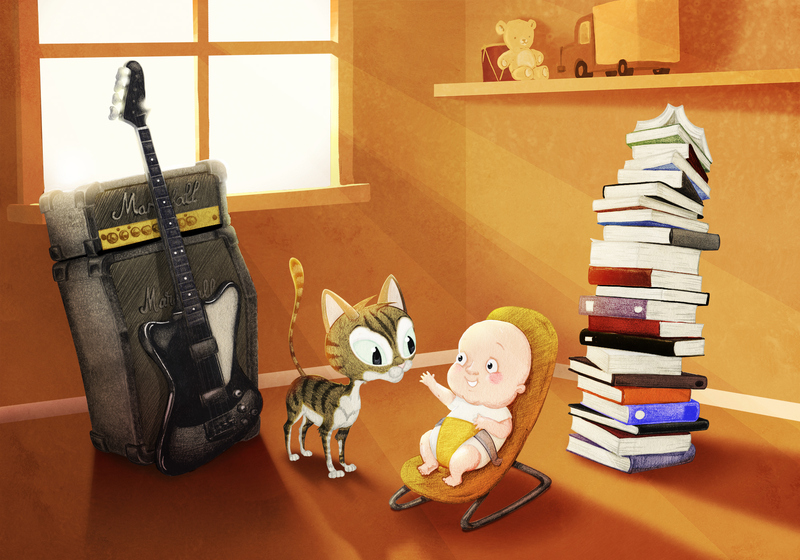 The soon-to-be father is a very keen and talented musician, and is justifiably proud of his Gibson Thunderbird bass and the mother is a voracious reader. 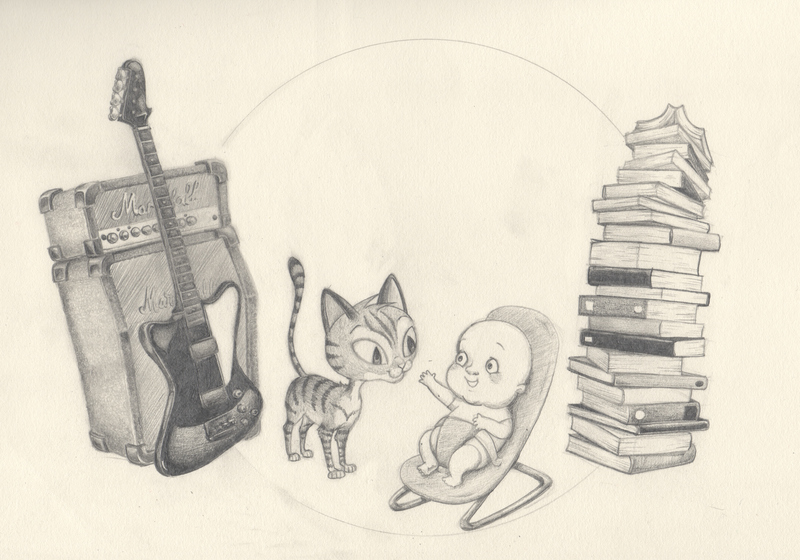 I was briefed to include all of their most beloved things in the picture, so along with the bass and a big stack of books we have their adorable tabby cat and, of course, baby makes four. The initial scanned pencil drawing, originally I intended to have less of a realistic background, but I felt it needed something more. The cat and the baby detail, not knowing the gender of baby made it quite trcky to choose a colour scheme, I went with something warm yet fairly neutral in the end. The Thunderbird. 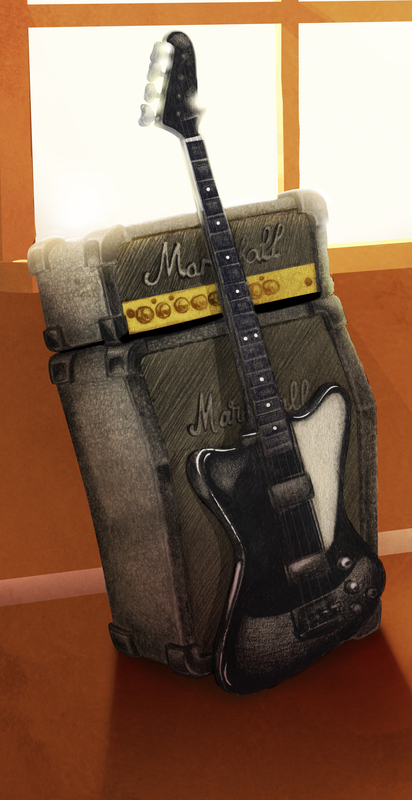 I'm particularly pleased with the texture on the Marshall amp. 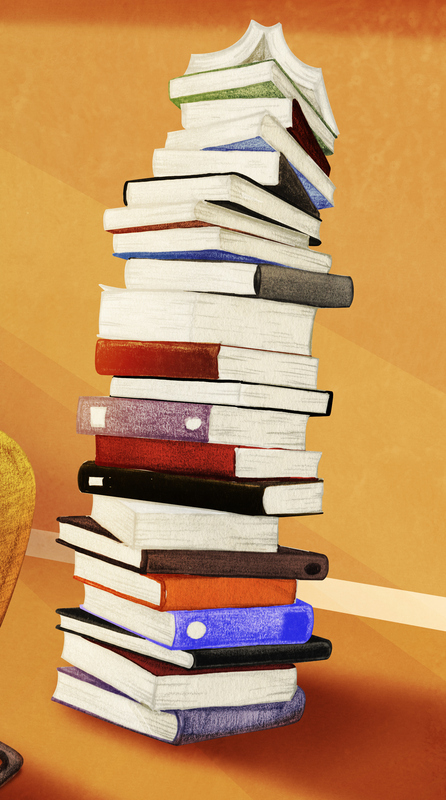 The bbok stack. I was concious not to go too overboard with the colours here, but I felt there needed to be a fair bit of variation in them, I didn't want it to look like a stack of Encyclopaedia!